Situated in the foothills of the Dublin mountains, just 15 minutes from the city centre and with access to all major routes, Grange Golf Club, a James Braid course and home to Paul McGinley, Ryder Cup Captain, was voted as the best parkland course in Dublin (Golf Digest, 2008). Visitors can look forward to playing a mature woodland course with beautiful views and without any sense of being close to the city or suburbs. Grange adjoins Marlay Park and is beside St. Enda’s Park, which provide wonderful natural boundaries. We are proud of our reputation for a friendly and relaxed atmosphere, where visitors feel at home and enjoy the warmth and hospitality extend by our members and staff alike. Grange is a family-focused golf club. The best golfing traditions have been carefully preserved, yet we remain progressive and forward-looking. Our clubhouse enjoys magnificent views over the 18th green, the inner nine and surrounding countryside. Grange consists of 24 holes in total, which provide members with three different 18 hole layouts, the facility to play two simultaneous 12 hole competitions in winter months as well as an additional six holes on any given competition day to ensure all players can use the facilities. 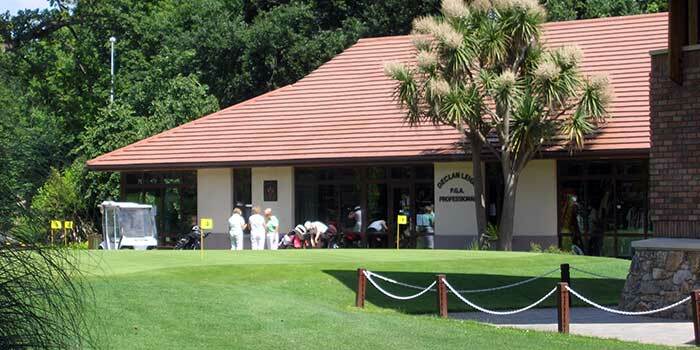 With great golf, superb facilities and a very friendly atmosphere, Grange provides an ideal venue for your outing or social golf. For all outing enquiries please contact us on +353 (0) 1 493 2889 (extension 4) or email caddymasters@grangegolfclub.ie for further information. Founded in 1910, Grange has been acknowledged as being in the top 25 parkland courses in Ireland (Backspin magazine). Grange Golf Club is in a fabulous location: just a few miles from Dublin City, yet nestled in the foothills of the Dublin Mountains.